A mixed weekend at Stranraer for the Scottish County Finals as far as results but a fantastic effort by the Ayrshire team against very tough opposition. 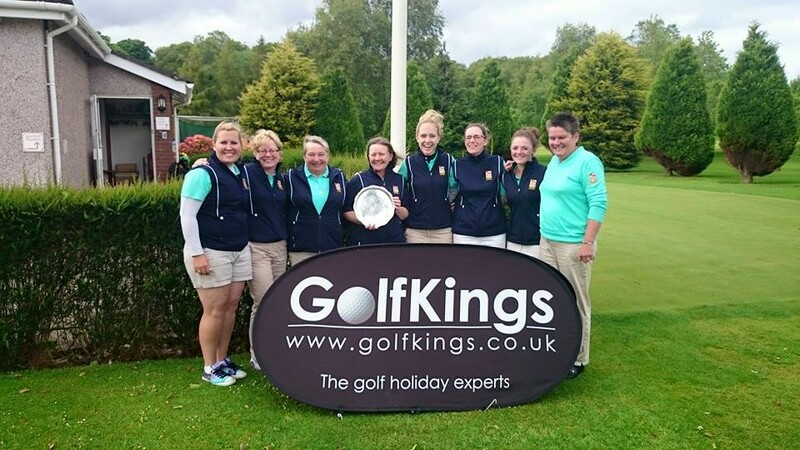 Ayrshire were up against the holders, Angus, on day one and despite a valiant effort only managed one point, won by Linzi Allan in the singles on the 18th green. On Day two they faced the 2014 winners, Midlothian, again the girls played well but were up against birdies and eagles from very strong opposition. 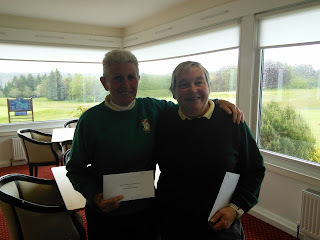 Debbie Watt and Hazel MacGarvie secured a half point in the morning foursomes, Debbie did the double by getting a half point in the afternoon, great result having been 3 down early on, and Emma Hale also halved her singles match. It was the battle for 3rd and 4th place between Ayrshire and Dumfries-shire on the final day. 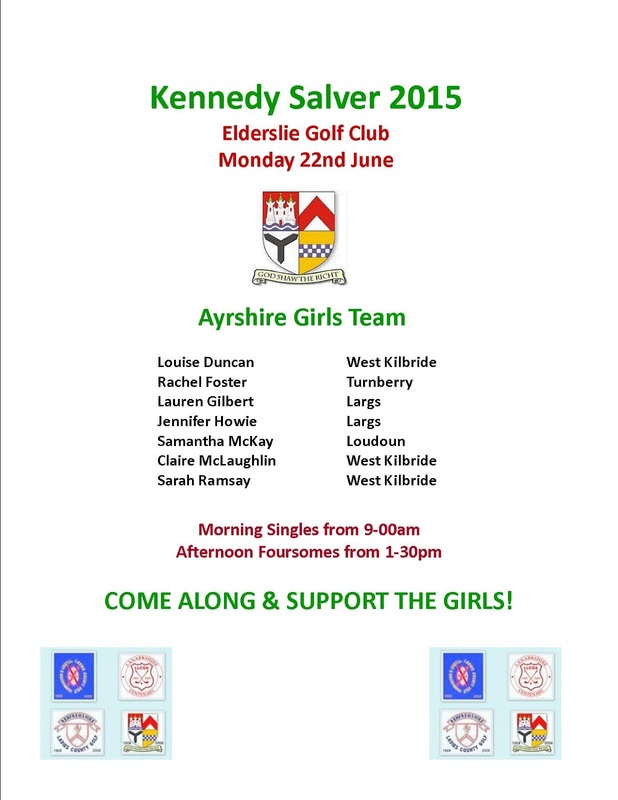 Determined to leave Stranraer on a high the girls got off to a great start by winning the morning foursomes 2-1. 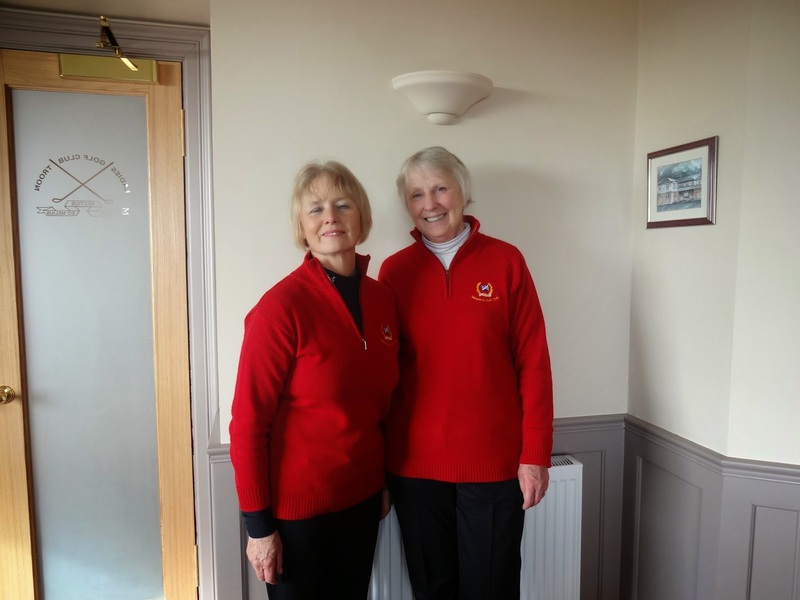 Needing only 3 wins out of the 6 afternoon singles Jenny Linklater and Hazel MacGarvie won their matches and Linzi Allan halved hers so it came down to the final green where Catherine Malcolm secured the final half point required for us to finish in third place overall. Angus retained their title by beating Midlothian in a very close match by 5 points to 4. Many thanks from Sheila and the team to all the travelling supporters, caddies and good wishes from the Ayrshire lady members. Having been the top qualifier for the McCall Salver, Sheila McDougall, Prestwick St Nicholas, continued her good form by beating Barbara Kerr, West Kilbride, in the final today. 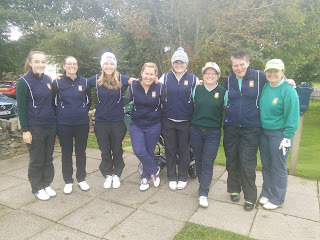 After a postponed final, due to bad weather, the girls played a very friendly match today in dry weather at Irvine Golf Club with Sheila winning by 4&3. 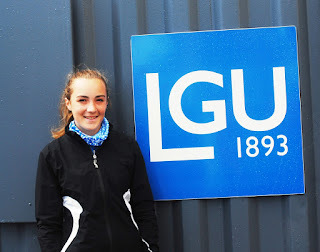 Emma wins the double!Emma Hale (Troon Ladies), in her last year as a junior, won the scratch and handicap prizes yesterday at Beith in Ayrshire's Junior Girls' competition. Playing in exceptionally strong winds over Beith's hilly parkland course, Emma's scratch 70, net 69 was an excellent round of golf. Her 69 won the St. Nicholas Trophy by 2 strokes over Jennifer Howie (Largs). As the best scratch, Emma wins the qualifier for the Telegraph Junior Golf Championship. 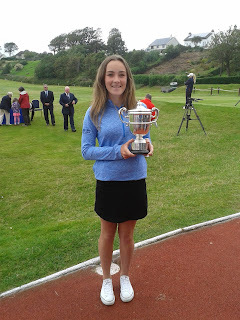 Bronze winner was Emma Waitzmann (Prestwick St. Nicholas) 122 (36) 86. SSS 69, CSS 70. Sheila McDougall (Prestwick St Nicholas) and Barbara Kerr (West Kilbride) have reached the final of the bronze championship. The final will be played at Irvine Golf Club on Thursday 27th August at 9.45. 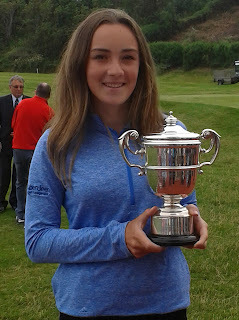 Hazel is pictured here with the Under 16's Trophy which she won from a top quality field of young players this week in the British Girls at West Kilbride. Hazel also received a prize for the best score in the first of the qualifying rounds. The Scotland team in the Team Event comprised, Hazel, Chloe Goadby and Shannon McWilliam and Hazel was presented with this trophy at the prizegiving this afternoon. The silver cup is the team trophy and the glass one the uner 16s. In the second round she came up against Chloe Salort from France. 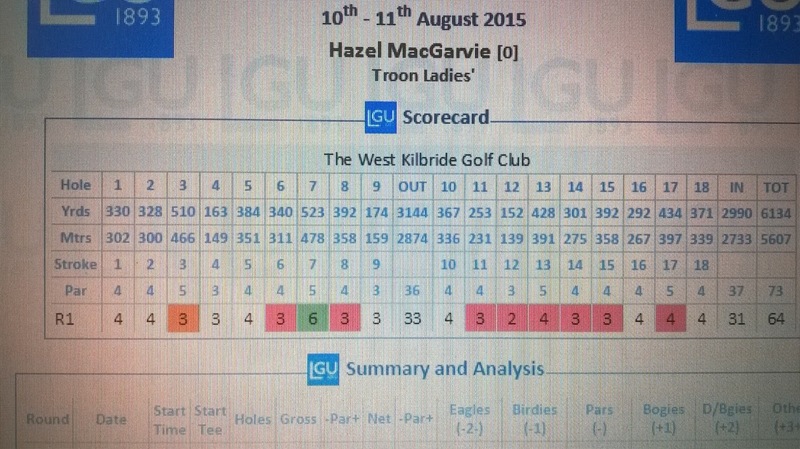 Hazel had a "sticky patch" and was 3 down with only 5 holes to play. She managed to get 2 holes back but was still one down on the 18th where her opponent sank a 15ft putt for a half and a place in the next round. Hard lines Hazel but what a memorable week with that fantastic 9 under par 64 in the first round of the stroke play. 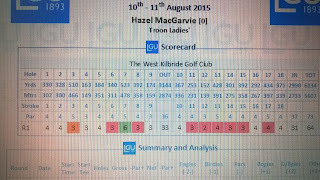 Another solid round from Hazel today at West Kilbride left her as second top qualifier for the match play stages of the Girls British Amateur Championship, bettered only by Frida Kinhult from Sweden who finished the strokeplay rounds on an impressive 11 under par. Hazel, alongside Shannon McWilliam (Aboyne) and Chloe Goadby (St Regulus) won the team prize for Scotland by one stroke from Spain, a fantastic result. Fellow Troon member Emma Hale, who was also of a high enough standard to enter this top class competition, unfortunately didn't make the cut this year despite a solid 2 over par round yesterday. 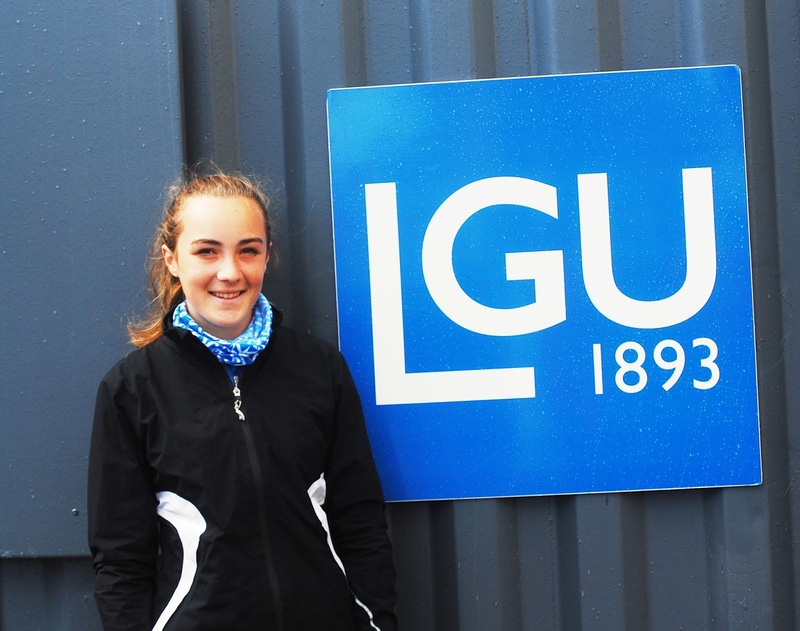 Good luck to Hazel MacGarvie this weekend and the rest of the girls in the GB&I junior and senior teams playing against the rest of Europe in the 2015 Vagliano at Malone Golf Club, Northern Ireland. Hazel tees up in this mornings foursomes with Emily Price against Emma Spitz and Julia Engstrom. 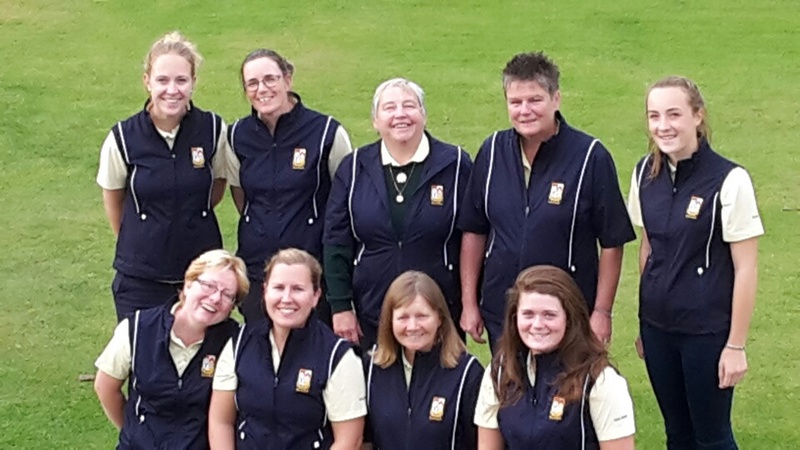 Congratulations to our Captain and team on their success at the West Division Inter County Matches. Having won their first 2 matches, they faced the holders Renfrewshire knowing that a half would be enough to lift the title. The morning foursomes went Ayrshire's way winning 2.5 points out of a possible 3 and the winning line was in sight. County Champion Catherine Malcolm led the way in the afternoon singles with a 4&3 win over Renfrewshire Champion Gillian Kyle. Things didn't quite go our way in the next few games and it came down to a nail biting finish on the 17th green when Audrey Thompson sank the winning putt against Carol Whyte. Jenny Linklater then took her game down the 18th against Denise Cowan and secured a half match which meant the overall result for the day was Ayrshire 5 - Renfrewshire 4 and a clean sweep of matches for the host team. 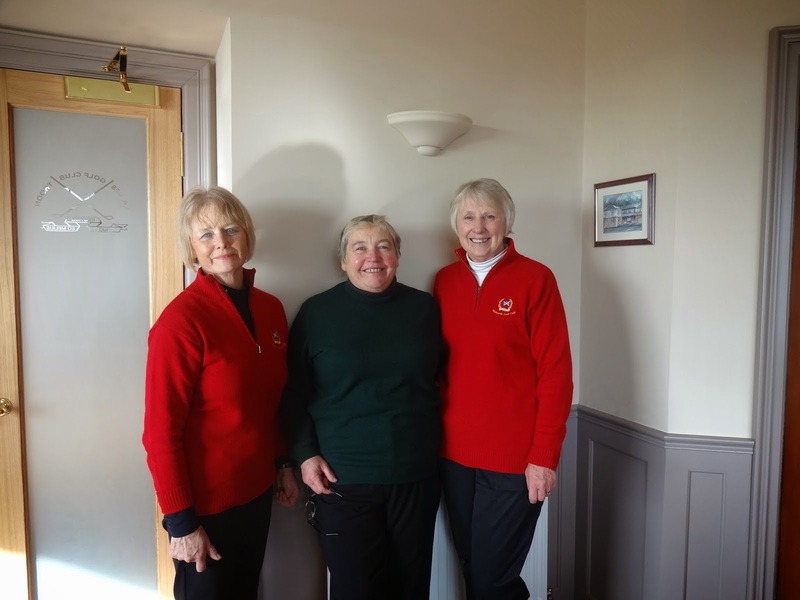 A big thank you to the Captain and ladies of Loudoun Gowf Club who were fantastic before and during the event from decorating the clubhouse to spectating, caddying and welcoming all the other counties to their Club. Finally thanks to all the other Ayrshire supporters who turned out to watch the matches and to our caddy mistress, Eleanor Watson, and all our caddies over the 3 days. Ayrshire ladies beat Renfrewshire today 5-4 to win the Inter County Matches at Loudoun. Ayrshire had a great win again today, this time against Lanarkshire in their second match of this years West of Scotland Inter County Matches. The girls got off to a great start this morning by winning all 3 foursomes matches on the 18th green - nail biting for the spectators!! 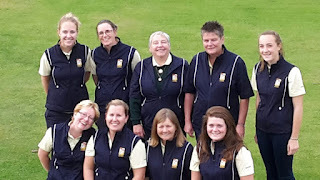 In the afternoon singles Audrey Thompson, Emma Hale and Linzi Allan all won their matches with Debbie Watt getting a half match which meant a final score of 6.5 to 2.5. A halved match against Renfrewshire tomorrow will be enough for Ayrshire to be crowned Champions, a title they last won at Barassie in 2011. In the other match Dunbartonshire & Argyll had a very close match with Renfrewshire going down to the wire. D&A came out eventual winners by 5 matches to 4. Ayrshire got off to a great start against Dunbartonshire & Argyll in the first day of the West of Scotland Inter County Matches at Loudoun Gowf Club. 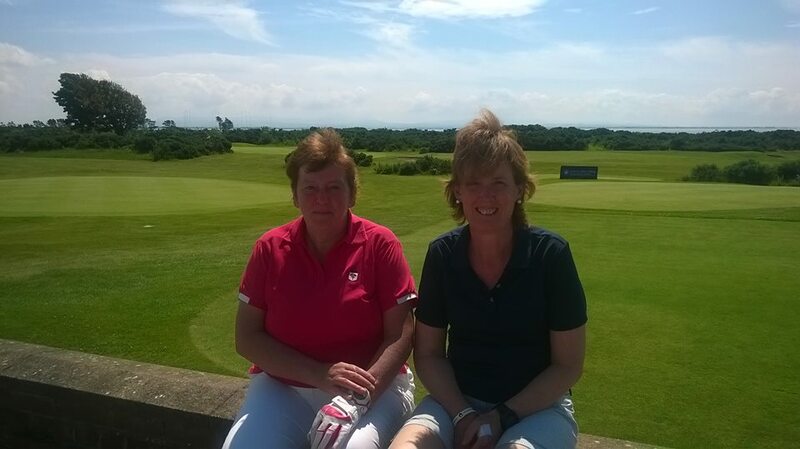 In the morning foursomes they took a 2 point lead after Catherine Malcolm (Prestwick St Cuthbert) and Linzi Allan (West Kilbride) won their match at the 18th and Liz Keohone (Loudoun) and Emma Hale (Troon Ladies) had an excellent 5&4 win. Audrey Thompson (Loudoun) and Connie Jaffrey (Troon Ladies) also had a very close game which ended in a halved match. Ayrshire Champion Catherine Malcolm showed the way in the afternoon singles with a 4&3 win over Lorraine Campbell (Cardross) and Debbie Watt (Belleisle) was unlucky when her opponent chipped in at the 18th to win the match. Jenny Linklater (Largs), Emma Hale (Troon Ladies) and Linzi Allan (West Kilbride) added a further 3 points to the Ayrshire total before Connie Jaffrey (Troon Ladies) lost out in a very close match with Claire Hargan (St Regulus) which went to the 18th hole. The final tally for today was 6.5 to 2.5 and Ayrshire will now play Lanarkshire in Day Two. In the other match Renfrewshire also got off to a good start against Lanarkshire winning the morning foursomes by 2 matches to 1. Lanarkshire had a great win in the opening singles match this afternoon but Renfrewshire won all the remaining matches to win their tie by 7 to 2. 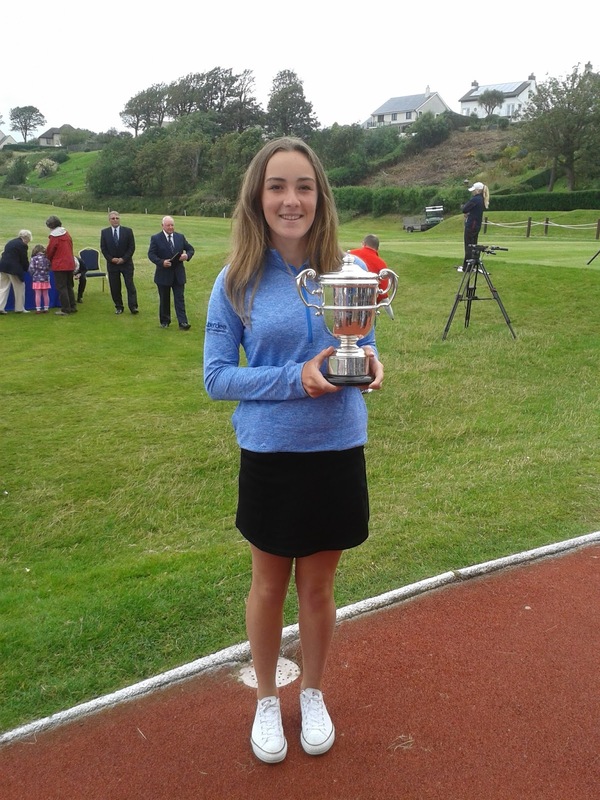 Connie Jaffrey was the only Scot to make it through to the last 32 in the Ladies British Amateur Championship today by winning a marathon match at the 21st hole against one of Irelands top players, Maria Dunne. Connie had been up in the match but her opponent finished very strongly to take the match into extra holes. Sadly, the morning match took it's toll and Connie was beaten in the afternoon 5&4 by American, Doris Chen. Another very creditable performance by Connie in a big tournament. 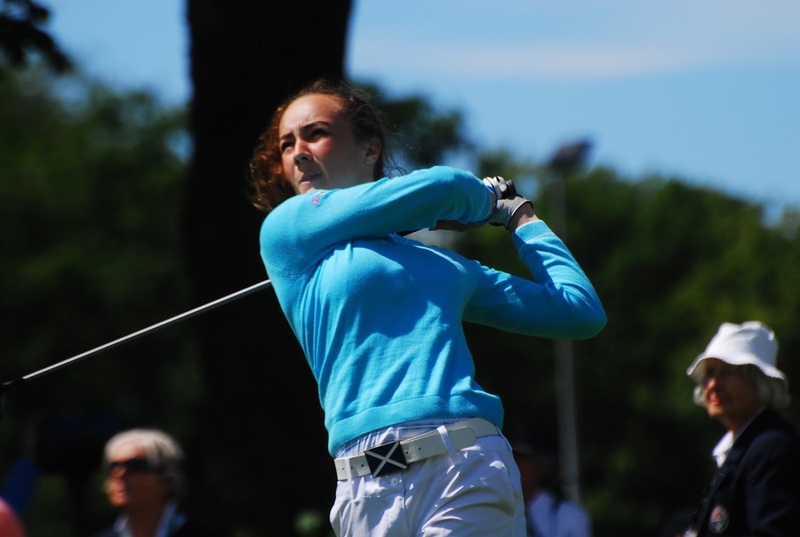 Connie Jaffrey, Troon Ladies, is competing this week in the British Ladies Amateur Championship at Portstewart Golf Club, Northern Ireland. After an opening round of 2 over par she shot a superb 3 under par round today of 70 to finish in 14th place out of 140 competitors after the strokeplay qualifying rounds. The top 64 go through to the first round of the Matchplay tomorrow morning. Good luck Connie! today was a fantastic score. the better inward half from Ann Shanks and Rona Agnew, also from D&A. Fourth handicap went to Carol Fell and Fiona Roger from Renfrewshire. event. 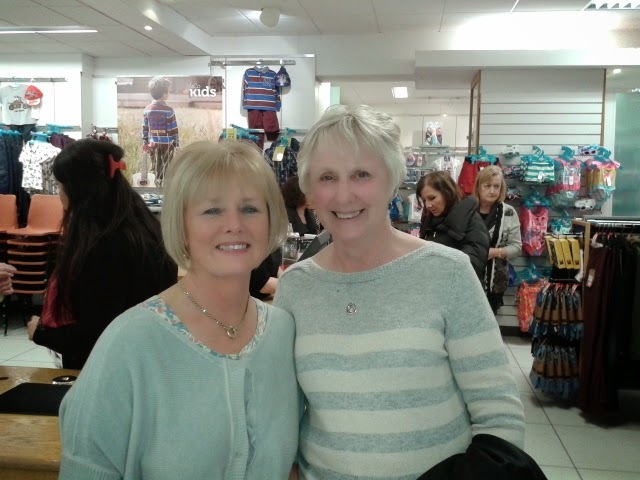 Pictured are Sheila and Aileen with their prizes. represent Scotland at next months European Team Championships and we are delighted that Ayrshire will again be represented at both these matches. In the Czech Republic Emma Hale and Hazel MacGarvie, both Troon Ladies, will be part of the Girls team and in Denmark Connie Jaffrey, also Troon Ladies, will be in the Ladies team. matches which take place on 7 - 11 July 2015. The results and pictures from the above competition are on the juniors page. 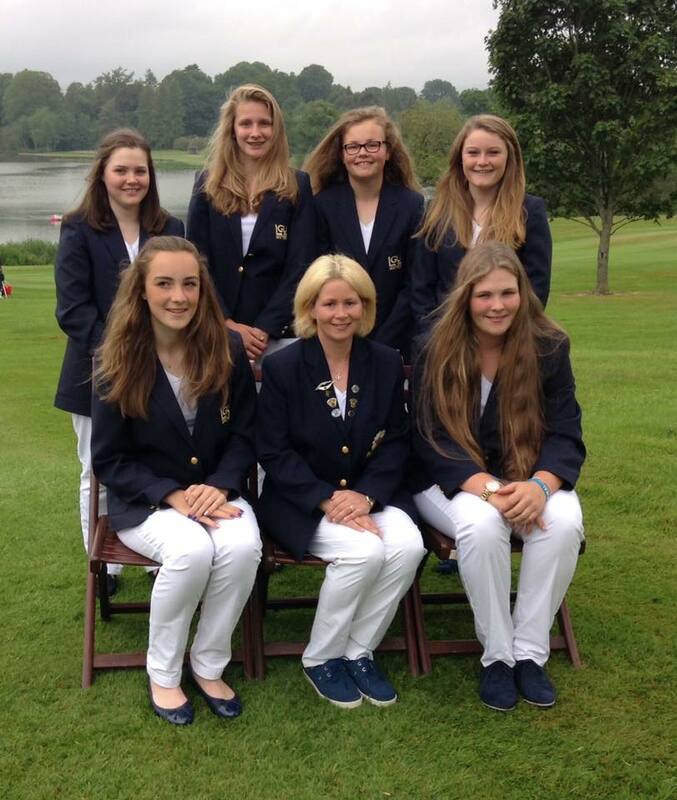 who has been selected for the GB&I junior team. The competition takes place at Malone Golf Club in Belfast on the 26th and 27th June. at Loudoun Gowf Club from Monday 15th June - Wednesday 17th June. The Innes McQueen Memorial Trophy a match between Ayrshire Golf Association and Ayrshire Ladies County Golf Association took place on Sunday 10th May at Loudoun Gowf Club. Due to bad weather the West of Scotland Championship at Cawder had to be cancelled on Sunday. 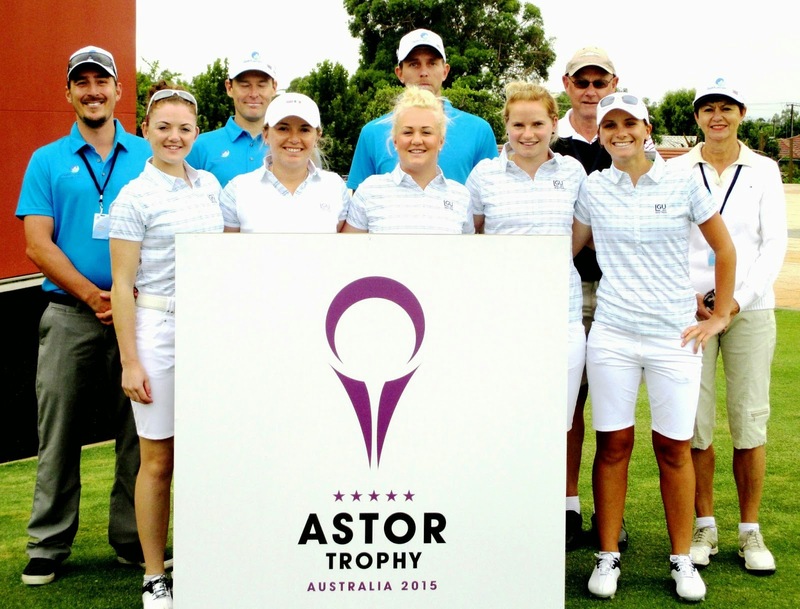 The new date is Sunday 13 September 2015 and the first tee time will be 12 noon. A revised entry form will be available in due course. The draw for the West of Scotland Champiuonships 2015 is available here. 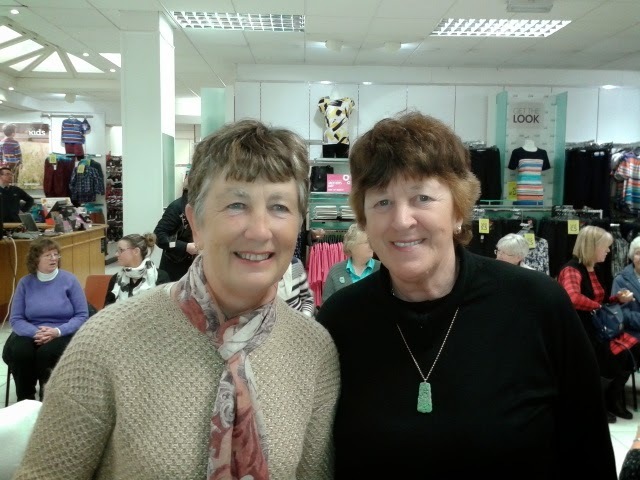 We were ably supported by our President Nora McCrossin and our Treasurer Jill West who came along and made a day of it with their families and dogs! The weather could not have been kinder and the conditions were perfect for our cycle. A very quick stop at Fintry Bay before on in to Millport where we were welcomed by fellow county member Pat Wright who had kindly provided a superb afternoon tea for us all. Sandwiches, cakes, tea, coffee and a comfort break were very well received. A big thank you to Pat for her hard work and generosity. While at Pats we had an early birthday celebration for Captain Sheila who is celebrating her birthday on Sunday before heading back to get the ferry home. Thanks to everyone who took part and all the generous sponsors. 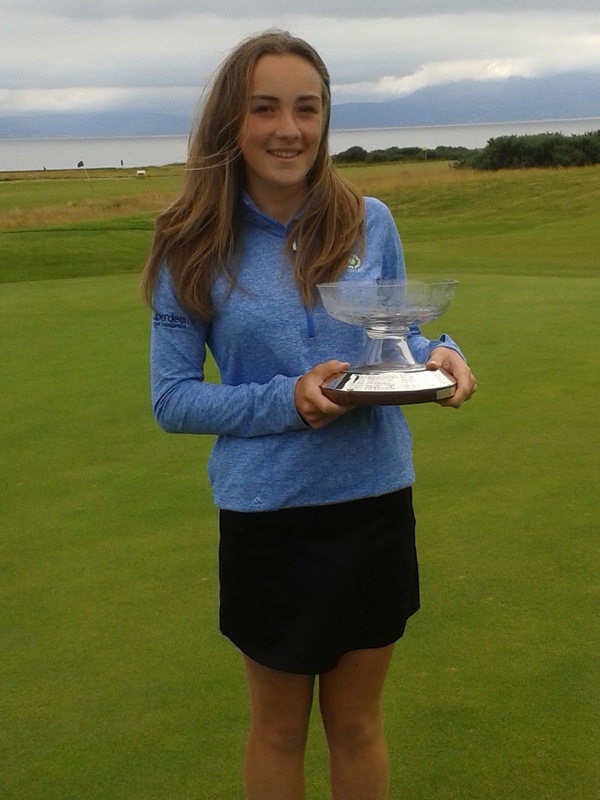 Having beaten the top seed, Emma Hale (Troon Ladies), in the mornings semi-final Catherine Malcolm (Prestwick St Cuthbert) then defeated defending champion Linzi Allan (West Kilbride) to win her third Ayrshire ladies title at the 21st hole. At the halfway mark Linzi was up by one hole and then went on to win the 10th with the first birdie of the game. The next 2 holes were halved in pars but Catherine got one back at the short 13th when Linzi found some bunker trouble. Catherine then squared the match at the 15th and got her first birdie of the day at 16 to go one up. Halves at 17 meant Linzi had to win the 18th to take the game into extra holes which she duly did with a par 4. The first extra hole was halved in pars then Catherine found trouble off the tee at the 20th and had to return to the teeing ground and play a second ball. She then produced an amazing par by chipping in from the back of the green for a 5. Linzi played the hole in a more conventional way for her 5 and a halved hole. 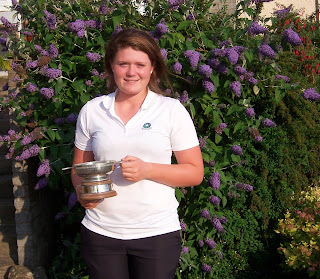 Catherine then went on to win the match with a steady par 4 at the 21st hole. years Matchplay which starts tomorrow. and is a REDUCTION ONLY. Hazel MacGarvie finished 3rd equal in a very strong field at Strathmore. Hazel shot a superb 2 under par 70 on the first day and followed that up with a 72 which included 4 birdies on the final day. Hazel was a member of Scotland's 1st team which lost out by 1 stroke to England who won the team prize. Congratulations Hazel on a great performance! 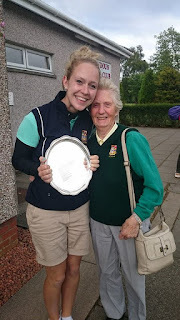 Connie Jaffrey (Troon) received both the SLGA Ladies and Girls Order of Merit for 2014. We are all delighted for Connie's achievement. Well done. Congratulations to Hazel MacGarvie! She has been selected again to the team representing Scotland in the Under 16's at Strathmore on 9th-10th April. For details of our adult and girl foursomes competition see juniors pages. 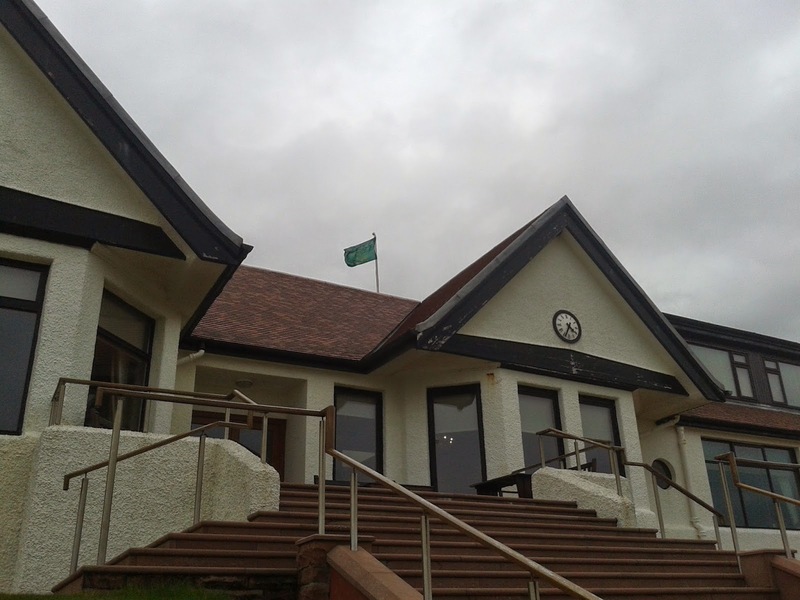 The final was played today Tuesday 10th March 2015 at Troon Portland. The final was keenly contested with the duo from Skelmorlie winning on the 18th. More photos under ALCGA pictures. 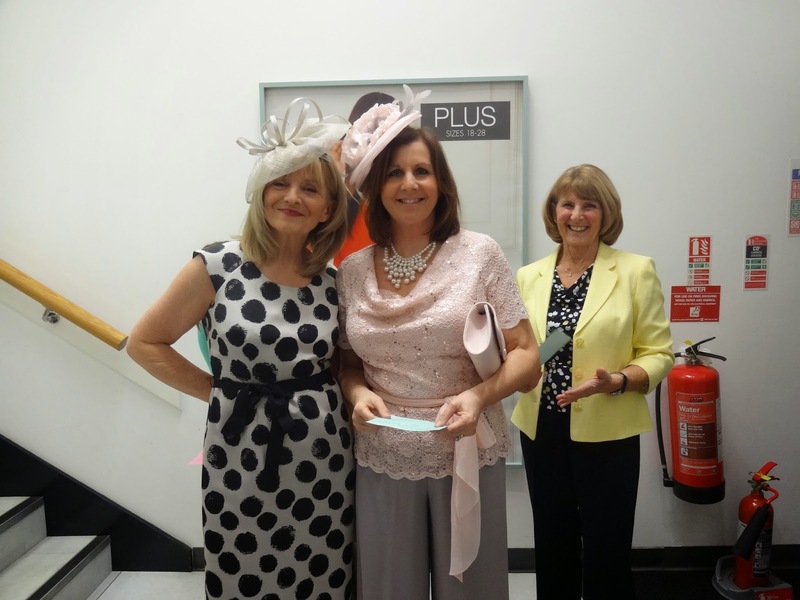 Around 80 ladies enjoyed a fashion show by M & Co Troon on Tuesday 3rd March 2015. County members and friends were models for the evening. 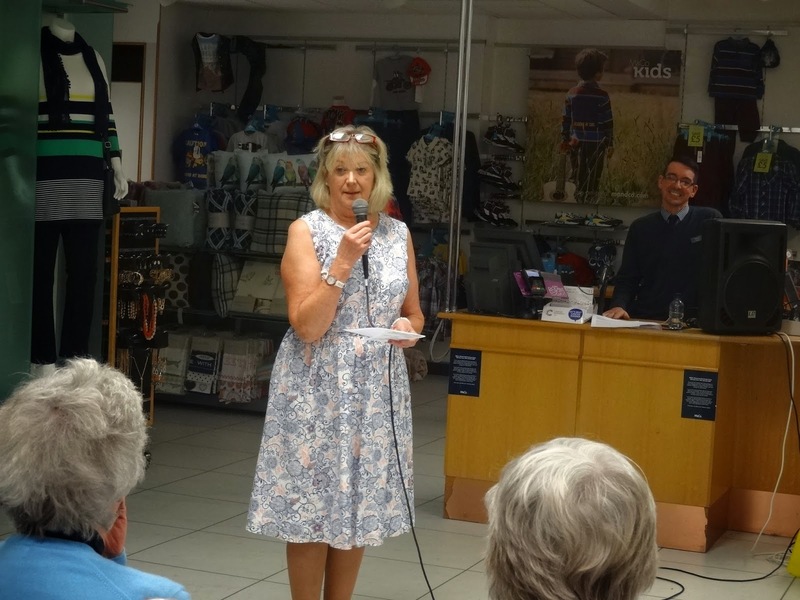 The event was ably compered by our own Eleanor Watson. The season's latest, hottest and newest trends were seen by all. of this years winter foursomes. Well done ladies and commiserations to the losing semi finalists. were affected by the weather but what can I say! Good luck and fingers crossed for some decent weather! 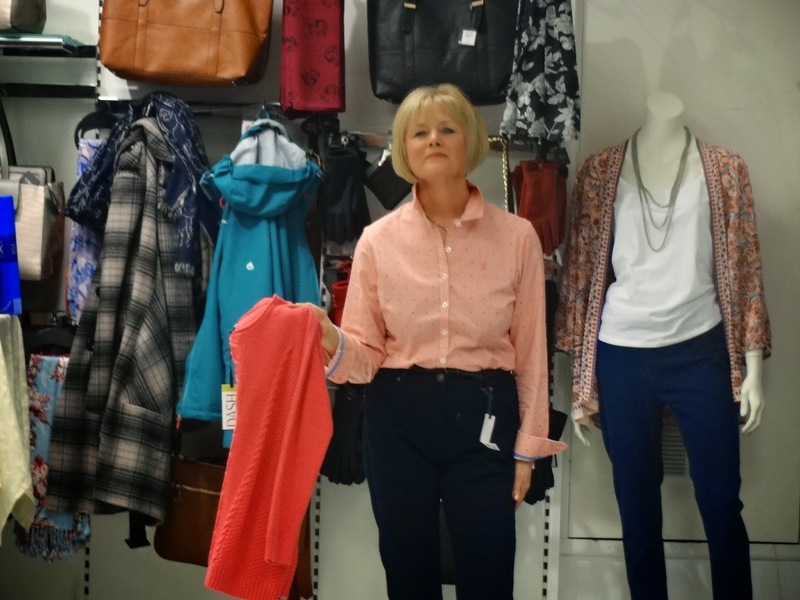 For details of our fashion night on 3rd March click here. I wish you ‘A Guid New Year’ and I hope, for you it will be a Healthy and Happy 2015. I can’t believe that I am entering my second year as your County Captain. The first year was both busy and interesting and I would like to thank all the members who played in the monthly competitions, as you all contributed to the success of our County Association. 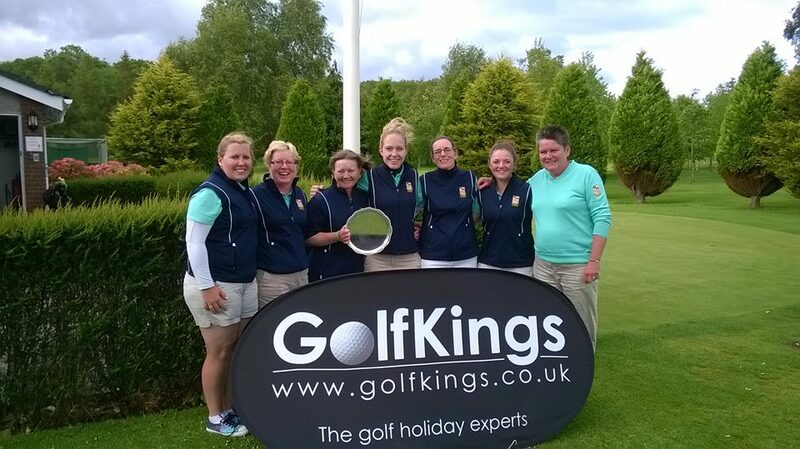 Player numbers are up on previous years –a most welcome trend for ladies golf in Ayrshire. The ALCGA like many other organisations require to raise extra funds and with this in mind we are staging the ‘County Cycle Cumbrae Challenge’ on Saturday 18th April 2015. Please come and support the fundraising by taking part or by sponsoring your own club members. Register your name with our Secretary Ann by email to: - secretary@alcga.com to take part. – come on it will be great fun-saddle sores do eventually heal!! Prior to the start of the golfing season there will be a ‘Sherry and Shortbread Evening’. 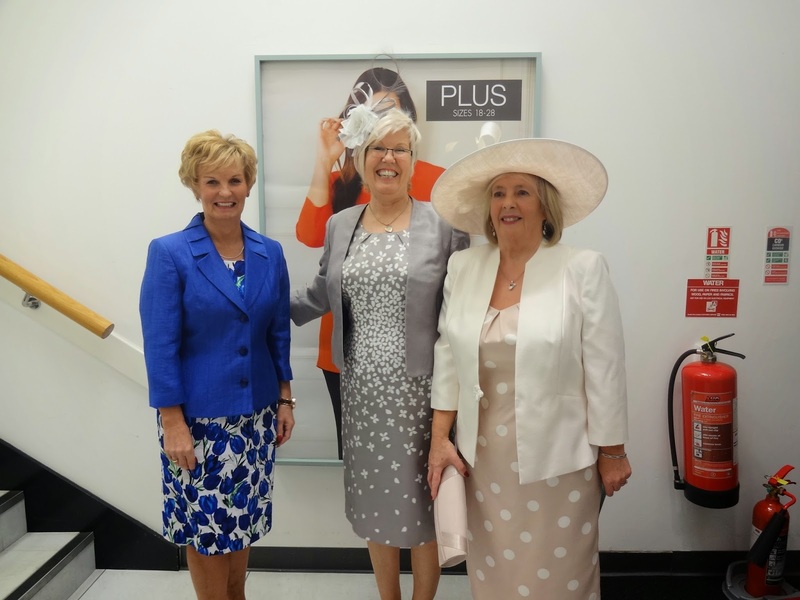 This event will incorporate a fashion show by M & Co Troon. It is being held on Tuesday 3rd March 2015 at M & Co premises, 6 Church Street, Troon, from 7 – 9 pm. Tickets are priced at £6 and can be obtained from myself and any committee member. You can fulfill your dream of treading the cat walk as I require 12 models. Looking forward to hearing from willing volunteers! Bring your friends along to the fashion night and all will receive a 10% discount voucher. The County golfing season gets under way with the qualifying round of the County Championship on Monday 13th April over Western Gailes. Please enter via the competition entry form on the ALCGA web site by 6th March. Future competitions should also be entered via the website by the 20th of the previous month. Secretary Ann will remind all our members to enter the competitions prior to the closing date. If you are unable to attend on the day of the competition please contact the ALCGA desk by using the County mobile number shown on the web site. This year our County is hosting the West Area County Championship. “The Jamboree” is being held at Loudoun Gowf Club on Monday 15th June through to Wednesday 17th June 2015. We are on home territory this year and would welcome your help and support during the Championship. Spectators and especially caddies are invaluable to our County Team. A good support can be a great lift to any team. 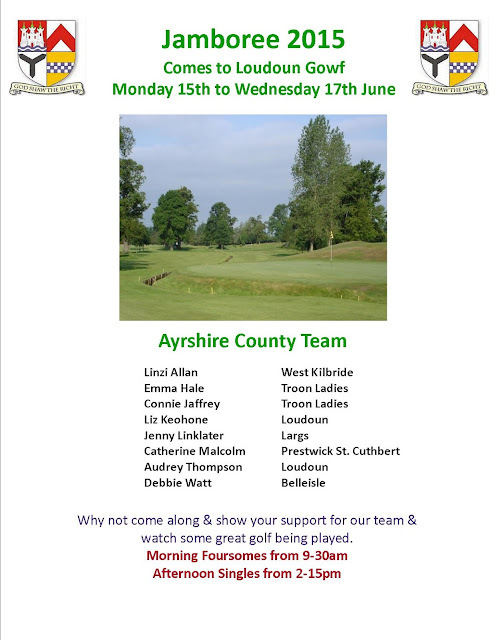 “Be seen in Green & support the Ayrshire Team” Please highlight these dates in your diary for an exciting day at Loudoun. 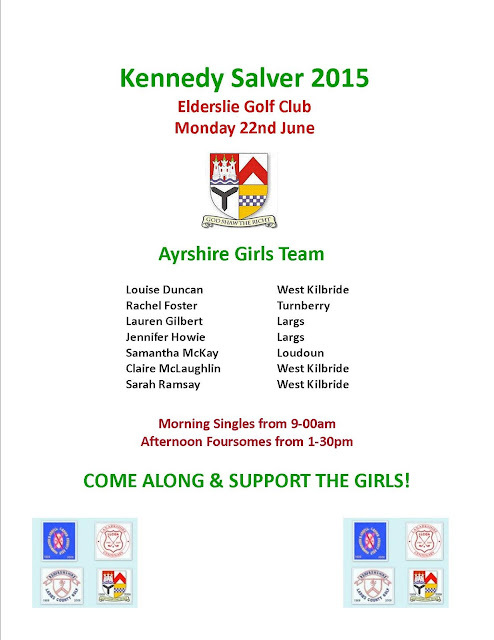 The Kennedy Salver, the junior equivalent, will be held on Monday 22nd June at Elderlslie Golf Club. Caddies are not required but again our girls would appreciate being cheered on, come & support the future of Ladies golf in Ayrshire. The West of Scotland Championship will be held on Sunday 3rd May. This will be one round competition played over Cawder Golf Club. The entrance fee is £10 and the handicap limit is 15. Please contact me at anytime for a chat and to let me know of Members achievements, any special celebrations, illnesses and of course potential new members. The ALCGA website will help to keep you informed of all activities I hope the weather will be kind to us during 2015 and I wish our members a successful golfing year whither it is at Club, County, West Area or National level. team the best of luck for the event.